Having been born and raised in Singapore, author Kevin Kwan, indulged in several interesting activities before he returned to his favorite.....that of writing. Kevin lived in Manhattan to pursue a BFA at Parson's School of Design. After attaining his degree, he worked for Martha Stewart Living, Andy Warhol's magazine, Interview, and the legendary design firm created by Tibor Kalman, M&Co. In 2000 he established his own creative studio where he produced high profile visual projects for very famous clients. Even though he was very much demanded by big name clients, he decided to return to his passion of writing. His debut novel was in 2013, Crazy Rich Asians, which is also being made into a major motion picture. 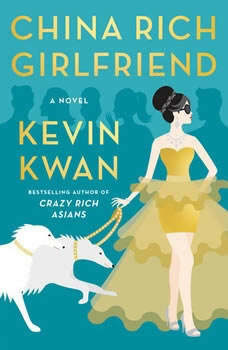 The sequel, China Rich Girlfriend was a huge hit worldwide, then was followed by the last in the trilogy, Rich People Problems, which was released in 2017. Kevin still resides in Manhattan.